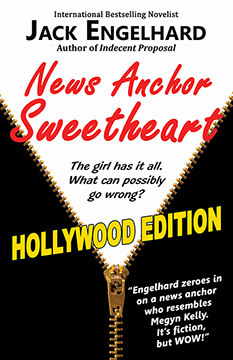 Introducing the Hollywood Edition of News Anchor Sweetheart from legendary novelist Jack Engelhard (Indecent Proposal... The Bathsheba Deadline... The Days of the Bitter End...). A great American novelist, Engelhard brings it as only he can in language that is economical, hard-boiled and fast-paced to uncover through the art of fiction the naked truth about a TV news personality who resembles someone we all know.